The Rev. Kathleen M. Decker Szakas serves Highland Avenue United Methodist Church. AUGUSTA — The Rev. 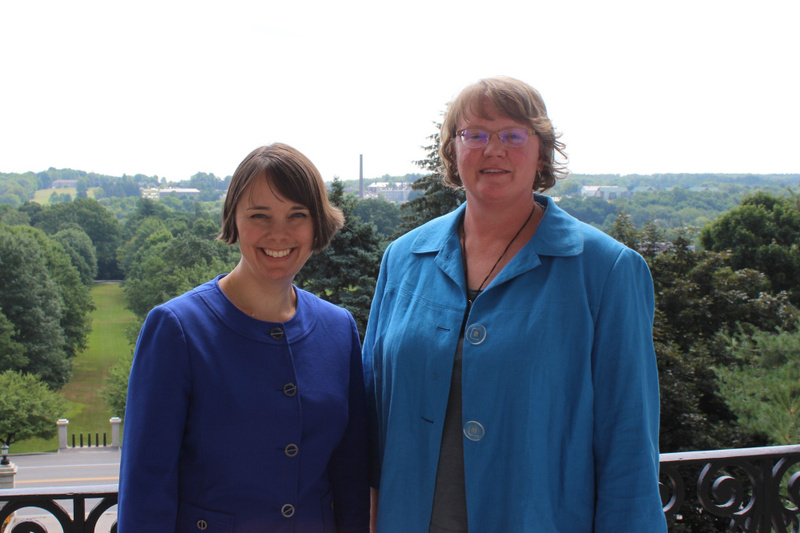 Kathleen M. Decker Szakas, of Highland Avenue United Methodist Church in Gardiner, was welcomed to the State House on July 20 by Sen. Shenna Bellows, D-Manchester. Szakas gave the opening prayer in the Maine Senate before the start of the day’s legislative session. Local clergy have offered blessings and inspiration to legislators at the beginning of the day since the first days of the Maine Legislature in 1820. Once the prayers are offered, they are entered into the official Senate Record. Religious leaders who are interested in offering a prayer should contact Bellows’ office at 287-1515 or [email protected].